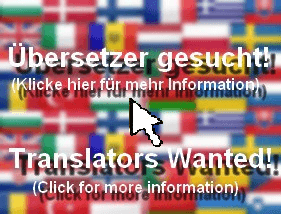 In this Feed you can find all multilingual subpages on message-for-you.net. IMPORTANT: This list ONLY contains the so called “subpages”. They are articles/subpages which we do NOT send to the E-Mail Subscription and that will NOT show on the News-Pages and in the News Feed as List (Multilingual). This list does NOT contain articles. A list of the articles can be found in the News Feed as List (Multilingual). You can find more pages with overviews in the Article Archive. The list of the subpages is in chronological order, so you will find the latest pages on the top of the list below this introduction. Subscribe to the Evangelistic Outreaches Feed! Subscribe to the Other Feed! Subscribe to the Mission Feed! Subscribe to the Discipleship Feed! Subscribe to the Project Feed! Subscribe to the Children’s Feed! Subscribe to the Parents’ Feed! Subscribe to the Languages Feed!